Emily grew up on a northern Illinois dairy farm, and now helps clients bridge the gap from farm to fork. Emily’s excellent research and writing skills – and a preference for people rather than cows – set her on the path to become an attorney. Understanding that food producers face tough choices regarding sustainability, marketing and legal requirements, she steers clients toward best solutions. She guides clients on complex regulatory issues as they bring dairy products, beverages, fruits and vegetables, processed foods and other agricultural goods to market. At the interception of agriculture, food and environment, Emily handles compliance matters such as labeling, marketing, permitting and agency inquiries including the Food Safety Modernization Act, Pasteurized Milk Ordinance, USDA National Organic Program and bioengineered food disclosure standard, Generally Recognized as Safe status for food additives and food contact substances, and the Safe Drinking Water and Toxic Enforcement Act of 1986 (Proposition 65). 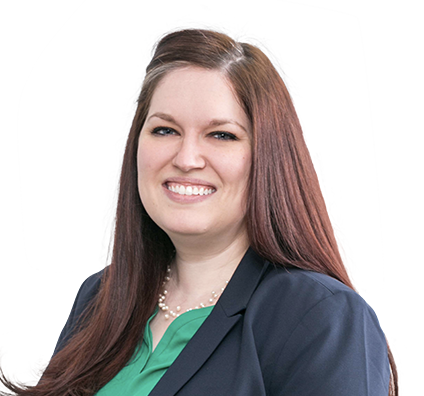 Before private practice, Emily served as counsel and director of regulatory affairs at the International Dairy Foods Association (IDFA). Her unique ability to speak the language throughout the supply chain brings clients value as she navigates complex scientific information, melds it with antiquated regulatory constructs and makes it understandable, all while remaining innovative and cutting edge. Advise client in preventing or responding to inspection citations and enforcement actions such as 483s, warning letters, import detention and agency investigation, as well as provide real-time advice during facility inspections and recall situations. Assist clients in developing lawful labels, claims and marketing programs for USDA and FDA-regulated products. Counsel clients on compliance with California's Safe Water and Toxic Enforcement Act (Proposition 65), as well as respond to 60-day notices and retailer indemnification requests. Conduct regulatory due diligence reviews, including for acquisition of international organic grain company. Lead training seminars for individuals seeking to understand federal and state food safety, defense, labeling and marketing regulations. Analyzed and explained to 500+ member companies, complex regulatory matters such as food safety and defense, food labeling and marketing, environmental, worker safety, sustainability and organic standards. Represented food industry at hearings, briefings, and meeting with Congress, FDA, USDA, DHS, USEPA, DOL-OSHA and other administrative agencies. Served as legal counsel to trade association by overseeing active litigation, handling in-house discovery, monitoring association activities for antitrust issues, and managing trade association trademarks and intellectual property. Negotiated, drafted and managed trade association contracts, nondisclosure agreements, licensing agreements and other documents. Oversaw various trade association committees, task forces and working groups that covered topics such as genetic engineering, food waste and date labeling and environmental and workplace safety. Starting with a bran muffin recipe that 4-H judges called not only winning, but precedent setting, Emily’s been known as a baker. Her law school classmates still talk about her chocolate cheesecake and inquire about the recipe. These days, she mostly sticks to bread making or baking cookies. You can also find Emily hiking and sightseeing DC’s many hidden gems or escaping into a novel.